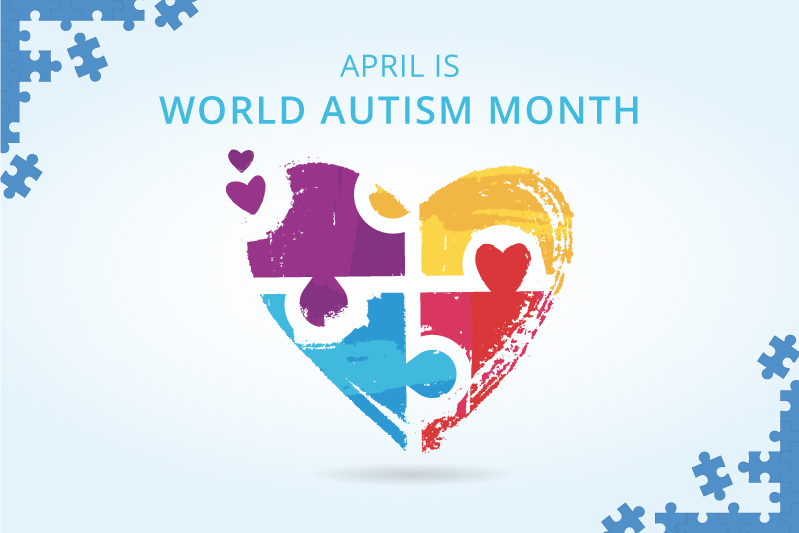 Celebrated throughout April, World Autism Month is kicked off with World Autism Day on April 2nd when Autism Speaks launches its signature Light It Up Blue campaign seeking to foster increased understanding and acceptance. Lindamood-Bell is proud to join the celebration. The University of Alabama at Birmingham’s Cognition, Brain and Autism Center collaborated with Lindamood-Bell Learning Processes to study the comparative effects of Visualizing and Verbalizing (V/V) on the brains of children on the Autism Spectrum. This fMRI study, highlighted in two recent peer-reviewed papers, examined activity in the language areas of the brain during comprehension tasks. Dr. Kana, the head of the study, reported that “V/V resulted in changing brain response patterns in children with autism – more focused, specialized brain activity and functional connectivity as a result of intervention.” Associated significant increases in language comprehension were noted against matched controls. Watch a video that features lead researcher, Dr. Rajesh Kana and participating families. Lindamood-Bell instruction is based on the learning needs of each student. We can make a difference for students of all ages and abilities, including students on the autism spectrum. Many students with an autism diagnosis have received instruction using Visualizing and Verbalizing for Language Comprehension and Thinking (V/V). See the results of learning center instruction for students on the autism spectrum here. Contact us for information about instruction at our Learning Centers, including one-to-one summer programs 800-300-1818. Families seeking a complete school solution can explore Lindamood-Bell Academy, a K-12 private school. Now enrolling for the 2019-20 school year. Educators can attend our professional development workshops online, in-person or as part of an inservice with their school community. Contact us with any questions or to discuss how to get started, 800-233-1819.